We’ve rounded up some of the questions that parents ask about Portraits that Move film shoots, and collected them here to help give you a feel for what the filming experience is like for kids and parents. Here, we walk you through how to prepare, what to wear, and what kinds of questions we ask to help kids share their stories. See more on how to work with Portraits that Move and explore our complete Frequently Asked Questions list from parents like you. 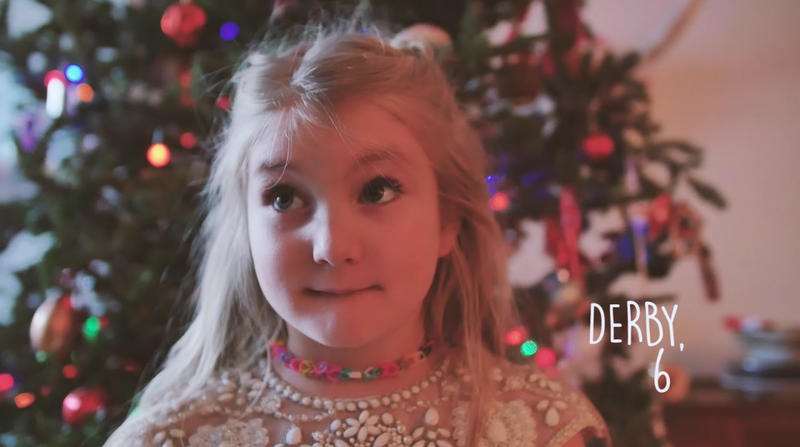 To kick off holiday card video season, we assembled this list of tips that includes colors that stand out on film, setting the stage at home, and the most important thing to remember heading in to a family film shoot. Parents often want to know about scouting locations for their family film shoot with Portraits that Move. From capturing the ideal location for holiday video cards to choosing the right place to document your Bar Mitzvah video or Portrait video, we offer simple guidelines for choosing and creating spaces to document your family story. Is My Child too Shy to Appear on Camera? Our professional filmmakers have seen it all, and a little shyness will not prevent your family from getting the quality family video you deserve. Here, we walk through some of the steps we take to help kids feel comfortable to share their worlds with us - and with you - on film. It’s all about creating a safe, inviting, and creative space to document life. That’s what we do best! Take a behind the scenes peek at our process as we share some of the questions we ask that get kids talking, and some of their adorable - and insightful - answers!